Gabrielle Chanel and the dynamic city of New York have always been closely intertwined. “It’s there I made my fortune,” the visionary said about America. Her pared-down looks were the perfect match for the liberated and active woman. This popularity led to American department stores and the fashion press fully embracing her creations as early as 1914. Gabrielle Chanel’s designs continued to make a profound impact in America and the relationship between Chanel and New York has persisted ever since. 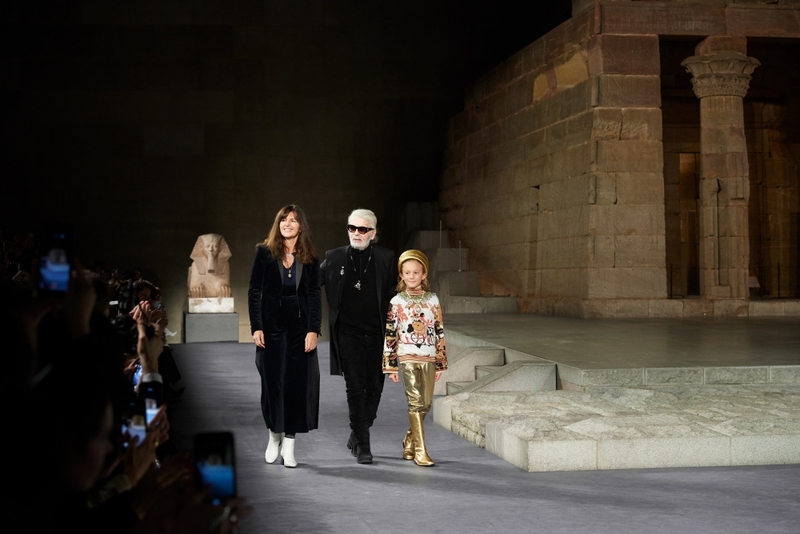 As the House returns to lively capital of unbeatable energy for the 2018/2019 Métiers d’art collection, Karl Lagerfeld continues the legacy with an Egyptian twist. 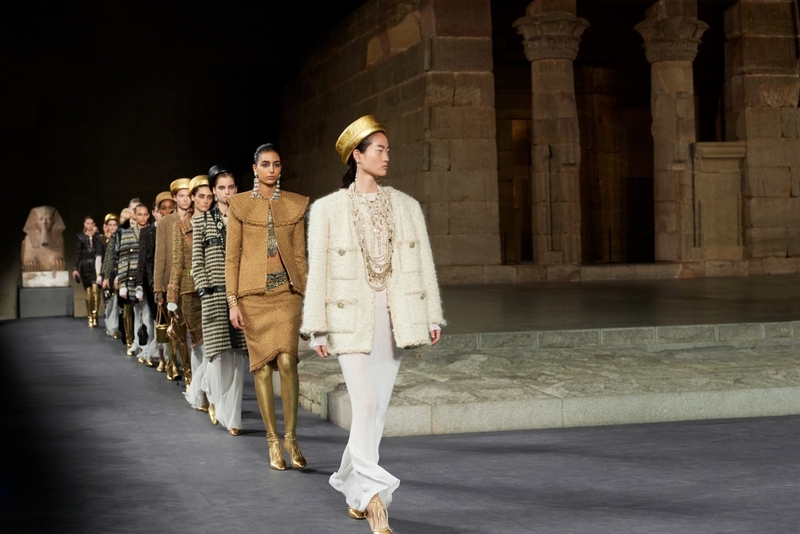 An ode to the best artisans inducted by the House, a tradition first started by Gabrielle Chanel, the 2018/2019 Métiers d’art collection featured draping looks of black and gold pleated by the House of Lognon. Sequins and lotus-flowers embroidered on the hems of skirts were the work of Houses of Montex and Lesage. 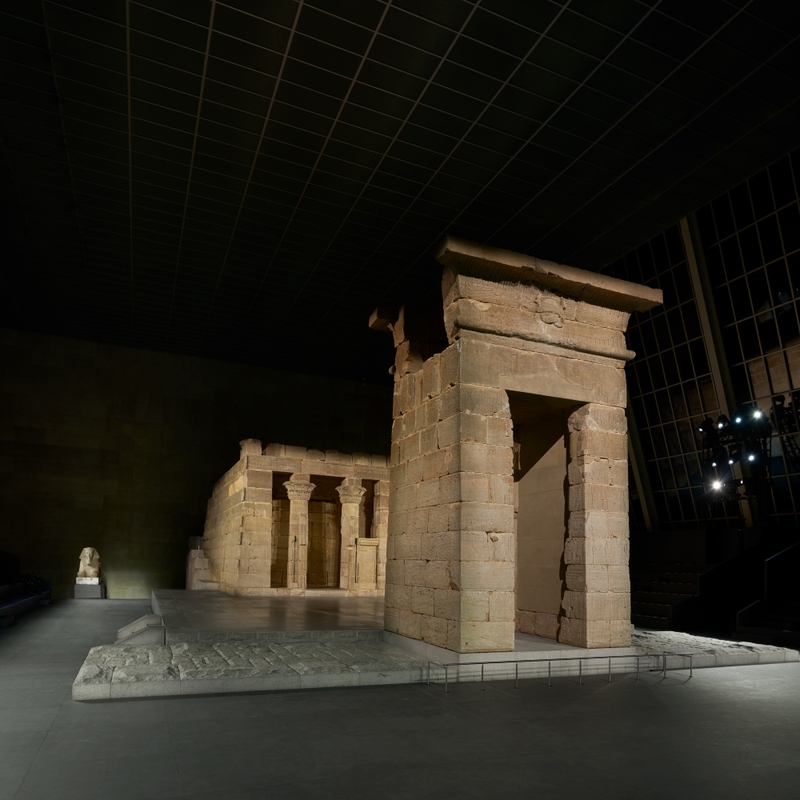 The House of Lemarié reinvents Egyptian paintings, juxtaposing the enamelled buttons made by the House of Desrues. At the top are Maison Michel’s modern boater hats and a fun twist of thigh-high boots, splashed with neon pink graffiti completes the look. Chanel presented an ultra-feminine silhouette through knee-length day dresses and belted waists. A modern touch was present amidst the elaborate details as graffiti artist Cyril Kongo’s artwork was incorporated into a number of looks. Karl Lagerfeld renews the creative conversation while paying homage to the melting-pot spirit of New York. “… In artisanal, there is art. The art of doing it well. An applied art. And it really is astounding. I think the image of this collection is very much down to this refinement which should be seen close up, almost touched, to understand how it is done and to really appreciate the beauty of this work,” muses Karl Lagerfeld. Clean lines combined with strong graphics and exceptional workmanship, the Chanel collection is a breathtaking Egyptian dream in its own. Sales of facial tools were up by 189% last year. The models joined a starry front row in Tokyo.